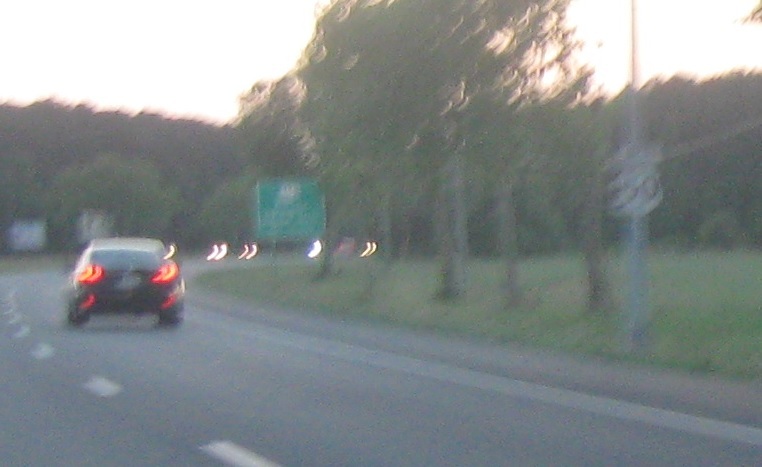 Reassurance shield after the MD 346 junction. 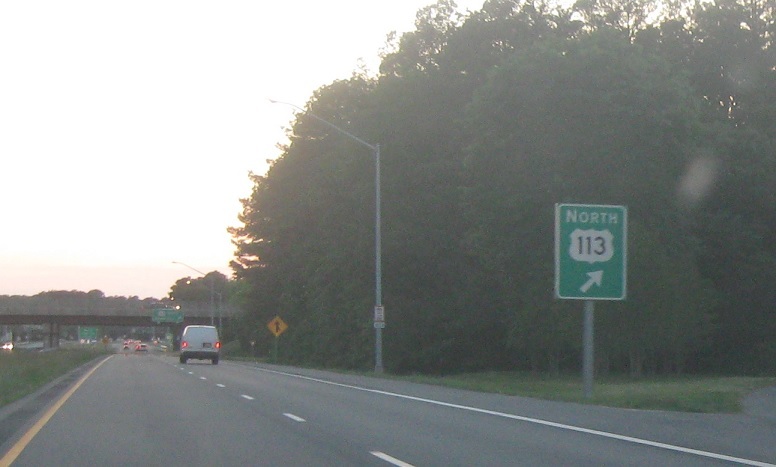 Just after that, we’ll approach US 113. 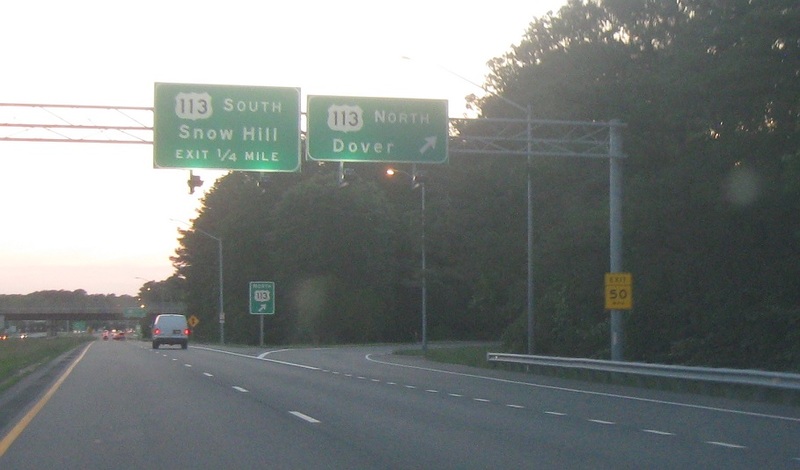 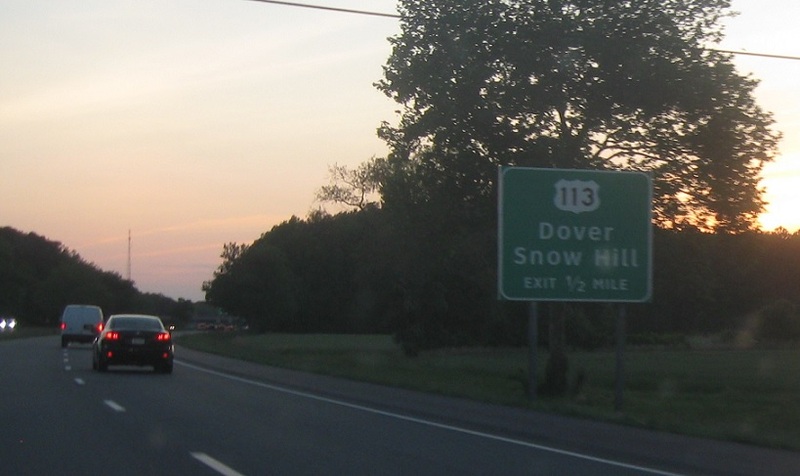 Follow 113 north to Dover, Del. 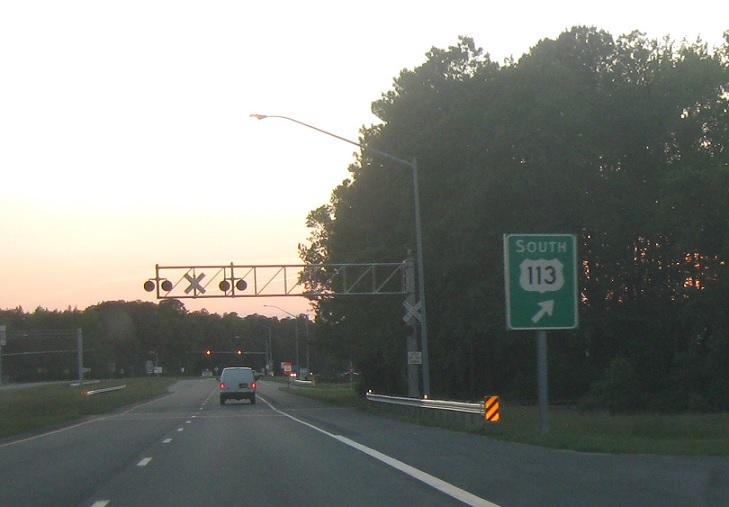 Exit for US 113 north. 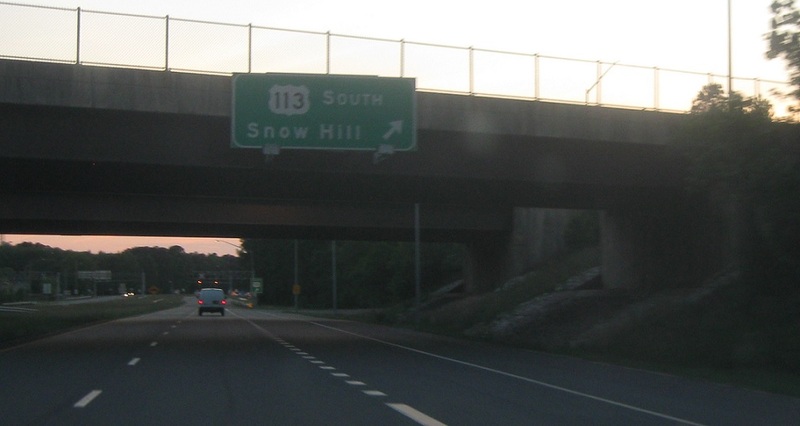 Follow 113 south to Snow Hill.